Find out what Xur is selling for October 20, 2017, Week 7. 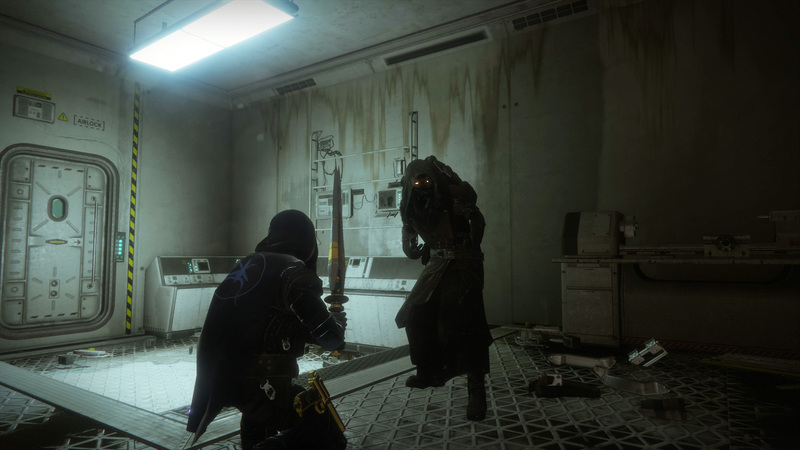 No matter how many times he disappoints us, Friday will always be the day we check in on Xur, the Agent of the Nine, to find out what he’s selling. We used to have to track him down back in the original Destiny, but Bungie has opted to give Guardians his GPS coordinates each week, so now it’s all about his wares. It’s still early in the days of Destiny 2, so it’s worth checking up to see if Xur might have brought an Exotic that you’ve been trying to snag for your favorite class. Even though he’s marked on your map, there’s a solid chance you’re reading this in bed as you wake up for the final workday of the week. 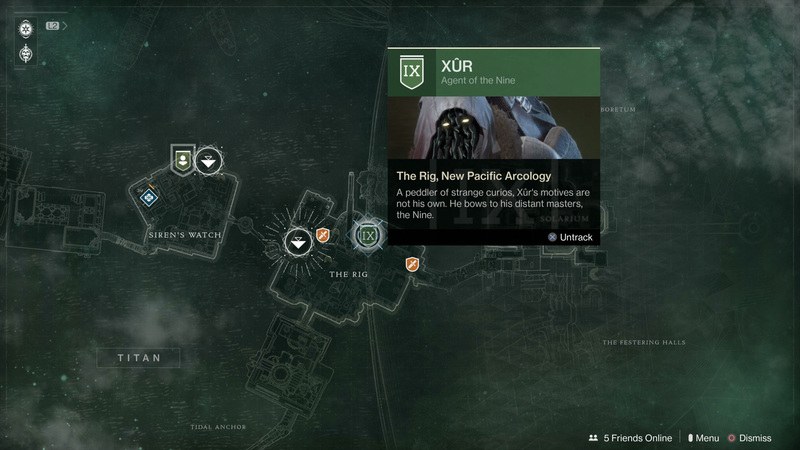 Since we had to take the time to track Xur down at 5 a.m. EDT, we might as well tell you where he is as well. Xur can be found on Titan. He is hanging out near the Rig, near one of the fast travel points. When you open your Director, set a custom waypoint for Xur, then follow it when you spawn in. Xur is selling one weapon and three pieces of armor. All are Exotic in nature, and all will cost you those Legendary Shards that you have spilling out of your pockets. The weapon will set you back 29 Legendary Shards, while each armor piece will cost you 23 Legendary Shards. That’s 98 Legendary Shards to buy all that he has, which is peanuts at the rate you’re likely dismantling Legendary weapons. The answer to this will always be the same; you should buy everything you don’t own. Destiny 2 will go through many updates and patches, and the most useless weapon or armor piece today could make its way into the meta tomorrow. It’s best that you try to own every Exotic item in the game, so don’t shy away from Xur just because you don’t think you need something. If you’re on a budget, which you shouldn’t be, you ought to prioritize by snagging the weapon if you don’t have it, and any armor for your main class.